Dr. Roger C. Prince of the Biomedical Sciences Division of ExxonMobil Research and Engineering Company is an internationally recognized leader and spokesperson for environmental science and pioneer in the fields of bioenergetics, bioinorganic chemistry and oil spill research. He has applied his penetrating insight to an incredible variety of scientific problems and is held in the highest esteem as a scientist. He has pursued an aggressive research program that has resulted in over 300 papers that have had substantial impact on the scientific community. His work is fueled by an intense interest in the physical, biological and chemical processes that impact the fate of materials in the environment and has involved skillful interaction at the interface of chemistry, physics, biology, geology and oceanography. Dr. Prince’s research career has centered on biological redox chemistry and its central role in the energetics of life. His doctoral work at the University of Bristol was aimed at understanding the energetics of bacterial photosynthesis, and he has continued this work both while at the University of Pennsylvania and at ExxonMobil. He has made important contributions in the energetics of electron transfer, particularly the effects of kinetic limitations of protonation or conformational changes that make functional potentials very different from those measured at equilibrium. With colleagues at the University of Pennsylvania he discovered membrane attached electron carrier proteins that established a new paradigm of “hard-wired” electron transfer. Previously it was generally accepted that electron transfer was carried out by freely diffusible proteins such as cytochrome c. The efficiency and productivity of photosynthesis have important social consequences. Among other things they will determine the potential roles that biofuels might play in the nation’s transportation fuel mix, and Dr. Prince has been working in this area for many years. Another area of Dr. Prince’s research has been application of sophisticated analytical tools to the investigation of the active sites of metalloproteins and clarification of the biochemistry and interactions amongst selenium, arsenic and mercury in plants. The latter are renowned for their toxicity, but a toxic dose of selenite can mitigate the effects of toxic doses of arsenite or inorganic mercury. Careful X-ray absorption spectroscopy studies unraveled the chemistry of these effects and showed how some plants can accumulate arsenic and selenium up to 1% of their dry weight. Understanding the biochemistry of these elements in plants was a prelude to understanding their fate in the environment and for exploiting such reactions for remediating contaminated areas and minimizing human health impacts. Of particular significance is a potential application in Bangladesh where low levels of arsenic in drinking water cause severe health problems in estimates of 35 to 80 million people.1 While the symptoms are very distinctive (skin disorders, tumors and death), the mechanism of chronic low level arsenicosis is unknown. Other populations consume water with higher levels of arsenic, but show no arsenicosis. Dr. Prince and colleagues noted that the symptoms of selenium deficiency can be similar to those of arsenicosis and hypothesized that arsenic might deplete essential selenium from affected Bangladeshis. It turns out the Bangladeshi diet is borderline deficient in selenium, while plenty of selenium is present in diets where arsenic levels are higher and no arsenicosis occurs. Two clinical trials are currently underway and giving rise to hope for tens of millions. Finally, Dr. Prince has been very actively involved in oil spill clean up and other remediation activities, noting that the fate of oil in the environment is principally controlled by biological oxidation under both aerobic and anaerobic conditions. Crude oils and their refined products are very complex mixtures of hydrocarbons, and one of his most important contributions was using conserved internal markers within hydrocarbon mixtures to follow the biodegradation of the more labile compounds. His work is heavily cited and many other groups now regularly employ the internal marker approach he pioneered. 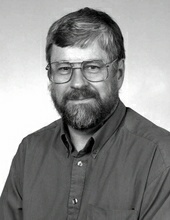 He was Exxon’s lead scientist in the Bioremediation Monitoring Program following the Exxon Valdez spill in Alaska, which demonstrated, in a joint program with state and USEPA scientists, that bioremediation was a safe and effective way to clean up the spilled oil, and has subsequently been involved with a major successful trial in the Arctic. His understanding of the fate and behavior of spilled oil has resulted in major shifts in thinking regarding the impacts and effects of oil spills . The Exxon Valdez bioremediation program was the largest ever completed – over 60 miles of beaches in 1989-1990. Underlying these at first glance disparate areas is Dr. Prince’s deep interest in the fundamental oxidationreduction chemistry that underlies biochemistry and bioenergetics, and a desire to share that interest with students and colleagues. Dr. Prince has managed to maintain a broad interest in biological chemistry with a focus on potential uses of this science in the energy industry, and effective collaborations with colleagues in universities and government laboratories and agencies. Bioremediation (a word he coined!) has proven to be a safe, reliable, environmentally -responsible, cost-effective technology for oil spills at sea and on land. And biofuels may yet play a substantial and important role in providing transportation fuels.